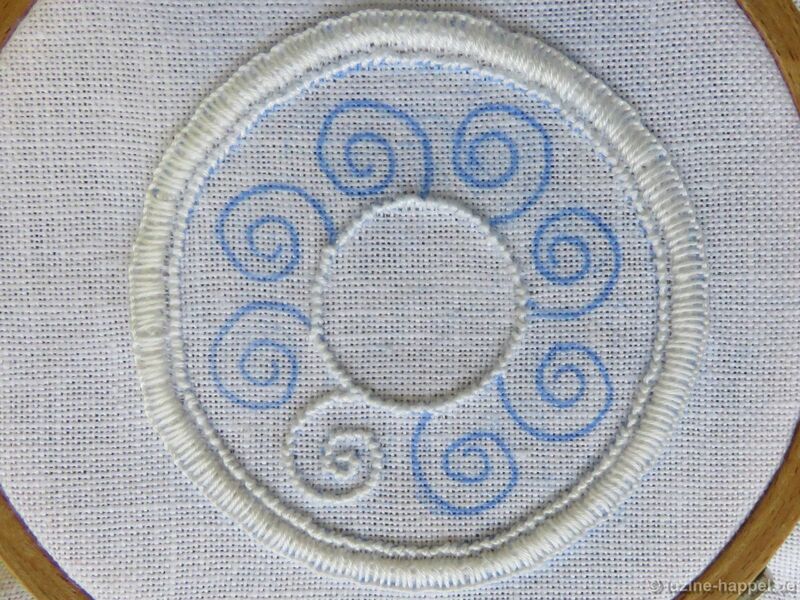 The design, with a diameter of about 7.5 cm, is well suited for embroidering a band in combination with the same-size pattern of the Tendrils – Practice Exercises (1) and other same-size patterns that will be featured in future articles. 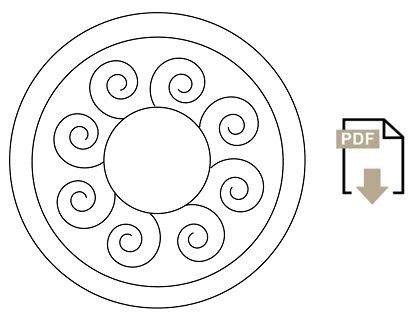 The focus of this exercise is to practice the smooth connection of tendrils at the fork. Coton à broder No. 16 is used for Coral Knot stitches, No. 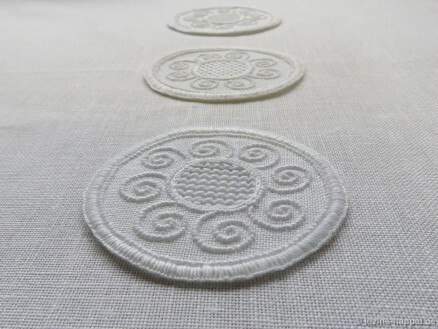 20 for Blanket stitches and for the outer Chain stitches. 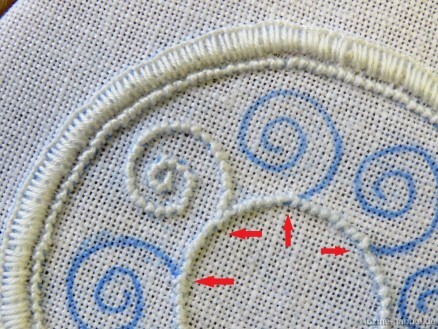 At the outside edge, Coral Knot stitches are worked along the inner line. 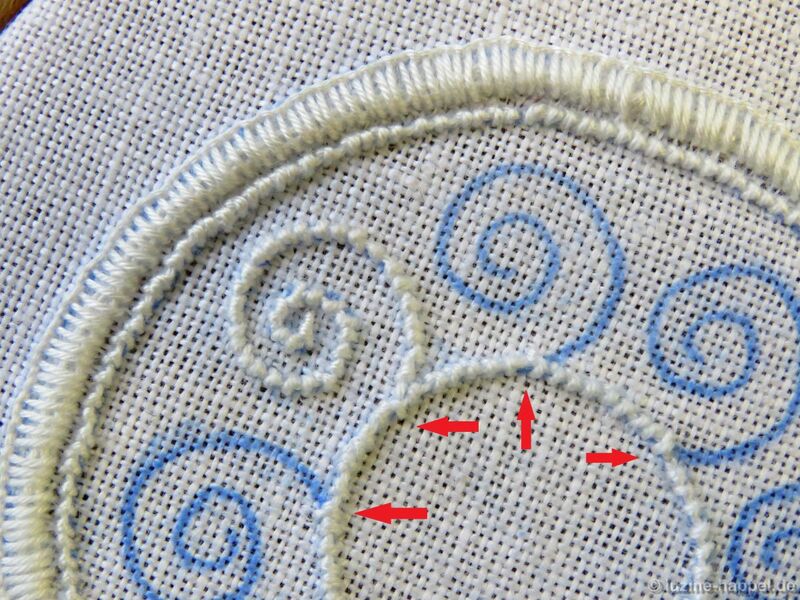 Chain stitches are worked a small distance outside these Coral Knot stitches. 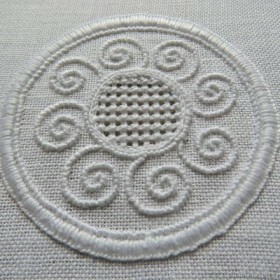 The outer Chain stitches are covered with densely worked Blanket stitches between the outline and the Coral Knot line. Using coton à broder No. 16 all remaining Coral Knot stitches are worked (remember, at the point where a tendril will fork off the main stem or shape, make a wider Coral Knot stitch). 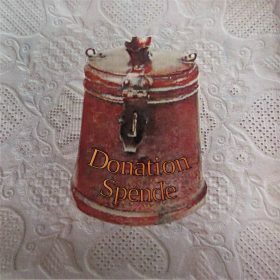 Using coton à broder No. 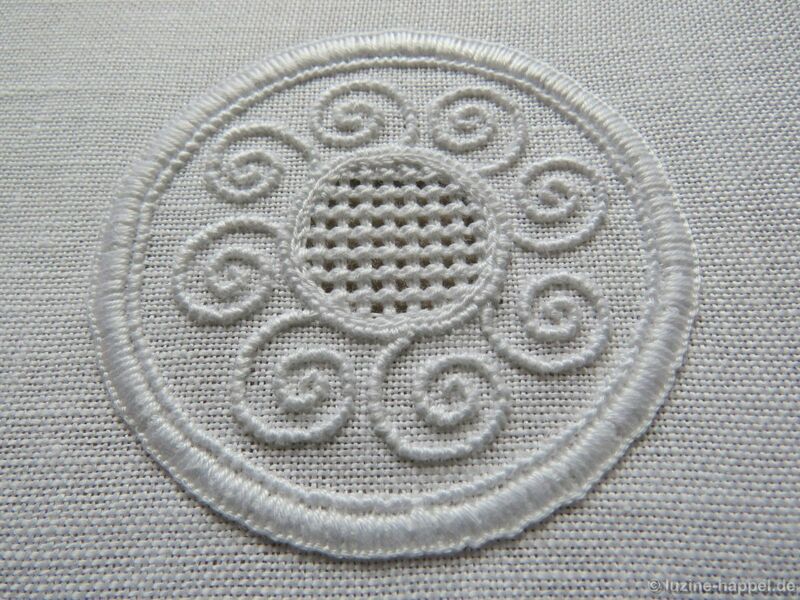 30 Chain stitches are worked directly inside the Coral Knot stitches of the center circle. 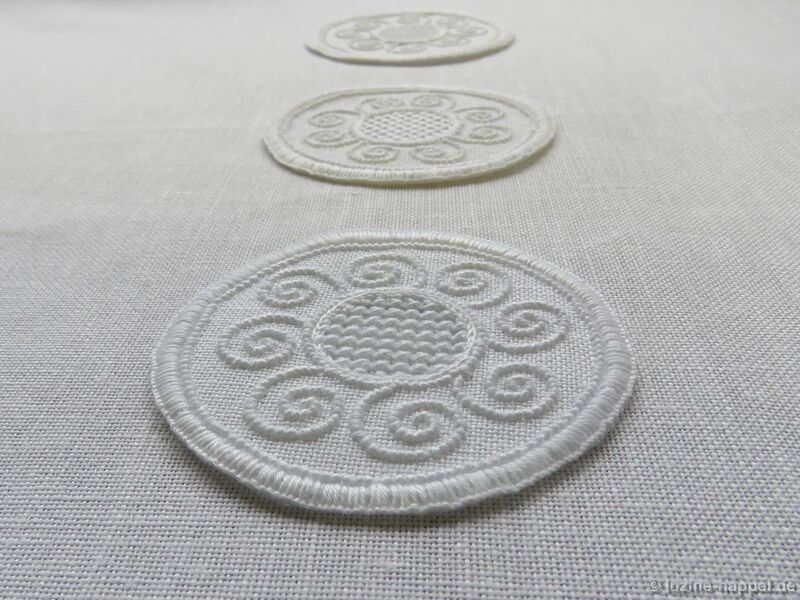 The shape is filled with an openwork pattern without a Cable stitch grid – double crosses in straight rows. 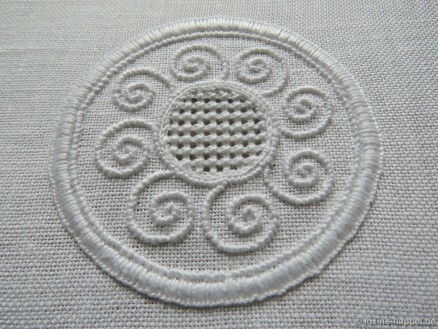 For a detailed description please refer to my book Openwork Pattern Samplers. 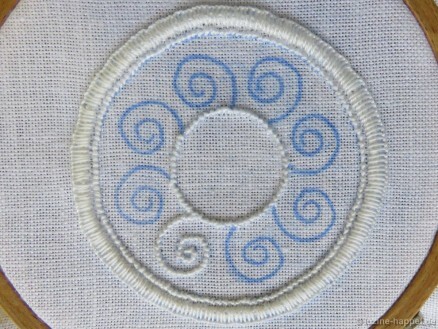 Openwork is nice and pleasantly contrasts with the outside ring with the tendrils. 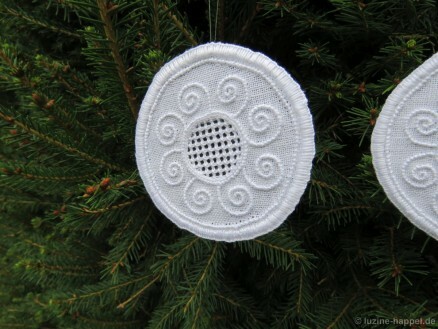 The design also makes a nice ornament for trimming the Christmas tree. For that purpose, the circle is cut. The result is one more nice ornament – next Christmas always comes before we know it!